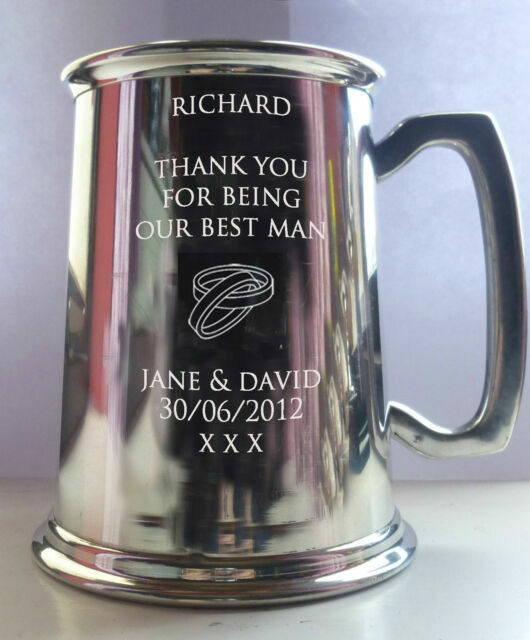 One pint pewter tankard manufactured in the UK to a top quality specification. We use the very latest computerised engraving machinery and we pride ourselves in our quality and service. Up to six lines of text, 20 characters per line. Excellent quality item engraving sharp and clear attention to detail beyond reproach. Just that ..... Great value. Very pleased with it. Thanks.